Described by some as “the first Black punk in Hull” during his teenage years, Roland Gift was something of an outsider from an early age. So, when his second band Fine Young Cannibals exploded in the US and the UK at the end of the 1980s, the sudden glare of the spotlight didn’t feel that alien to him. With his good looks and soulful voice, Gift was a captivating leading presence for the band – a man with attributes seemingly made for stardom. This makes the band’s rapid decline following their mainstream success seem all the more puzzling, and Gift’s retreat from the limelight seemingly premature. Born in Birmingham in May 1961 to a Black father from the West Indies and a white mother, Gift’s family were far from wealthy. He has described how his family lived on benefits for a while and how his father spent time in prison, and his childhood was further disrupted by a move to Hull when he was 11 years old. Studying at Kelvin Hall School, Gift admits that he was “quite homesick” after the move, reading social history books on Birmingham to get over his detachment from his birthplace. In his teenage years, Gift enrolled at Hull School of Art and embraced the college’s music scene. His dyed blonde hair made him a striking presence in the city (as well as earning him the tone-deaf nickname ‘Guinness’), and he formed his first band, the ska outfit Akrylykz, during his time at the School. The band played together for a couple of years to limited success, during which time they released a double A-side single, "Spyderman" / "Smart Boy" on York’s Red Rhino Records, and toured extensively. Though Akyrylkz’s lifespan was somewhat brief, it gave Gift his first real experience of being in a band, and their touring saw them support larger 2-Tone bands such as The Specials, Madness and The Beat. When the latter also disbanded, bassist David Steele and guitarist Andy Cox formed a new band, choosing between hundreds before eventually asking the striking Gift to be the frontman. The band’s name? Fine Young Cannibals. Gift himself has described the difficulty the band had in initially getting a record deal (a Black man fronting a band was still a largely incomprehensible idea to the record industry in the early 80s), but they eventually signed with US imprint I.R.S. before releasing their first, self-titled album in 1985. The album was a modest success, with notable singles “Johnny Come Home” and “Suspicious Minds” (with Gift taking the role of Elvis) charting in the UK top 40. Gift followed this minor exposure by expanding his creative palette, turning his talents to acting. In 1987, he starred as Danny in Stephen Frears’ Sammy and Rosie Get Laid, before returning to band duties to record the Cannibals’ second album, The Raw and The Cooked, released in late 1988 in the UK (followed by an early 1989 release in the States). Suddenly, the band were global stars. Gift was the striking frontman for a household name in the UK and the US, and the album hit no.1 on both sides of the Atlantic. Hit singles “She Drives Me Crazy” and “Good Thing” both reached no.1 in the US and as the 90s approached, the Cannibals were a headline act. That year, the band won two Brit Awards for Best British Group and Best British Album and Gift was even voted one of the world’s 50 most beautiful people by People magazine in 1990. However, as Gift himself puts it, the band became victims of their own success. The band moved to New York, and despite Gift’s comfort with the spotlight, cracks in his relationships with Steele and Cox had begun to show. What caused such ructions isn’t exactly clear, but the multi-talented Gift now had other priorities. The pressures of global success had yielded a desire to return to Hull, which he was able to do by starring in Hull Truck Theatre’s production of Romeo and Juliet in 1990. He then became a father in 1991, something that coincided with the permanent wind-down of the band, which officially ended in 1992. And thus, the talented Gift stepped out of the spotlight, only to return in fleeting moments. He starred in TV movie The Painted Lady alongside Helen Mirren in 1997. He returned to Hull again in the Hull Daily Mail’s ‘Clubspot Spectacular’ in 1999, and made an attempted return to music with a debut solo album in 2002, but it failed to chart. He toured with Jools Holland in 2013, in one of his sporadic music appearances since. Gift’s career came somewhat full circle at the end of December with a live performance at Hull’s Welly Club with the City of Culture year on the horizon. 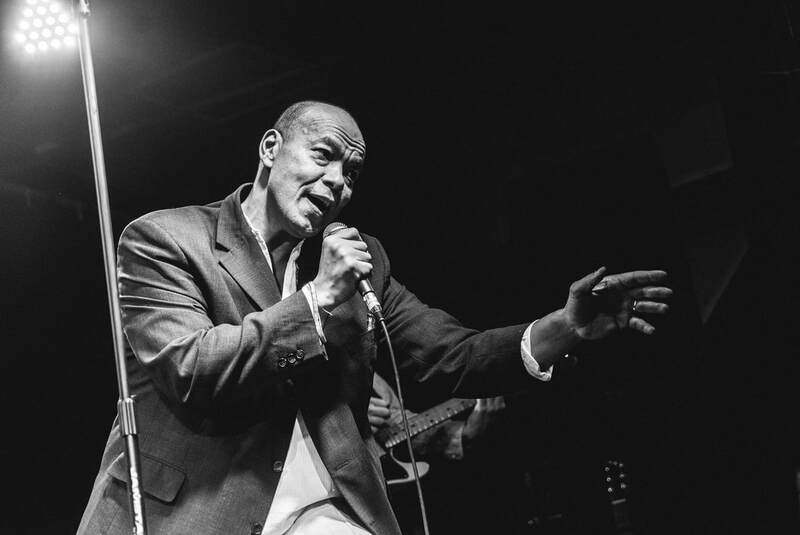 The city's progression from being astonished by its "first Black punk" to finding a place on the global map may have proved somewhat amusing to Roland Gift, but also rather familiar to a man who has confounded expectation throughout his life.